Dogs love to stick their heads out of car windows while their owners drive them along, as they seem to enjoy the turbulence and fresh air. 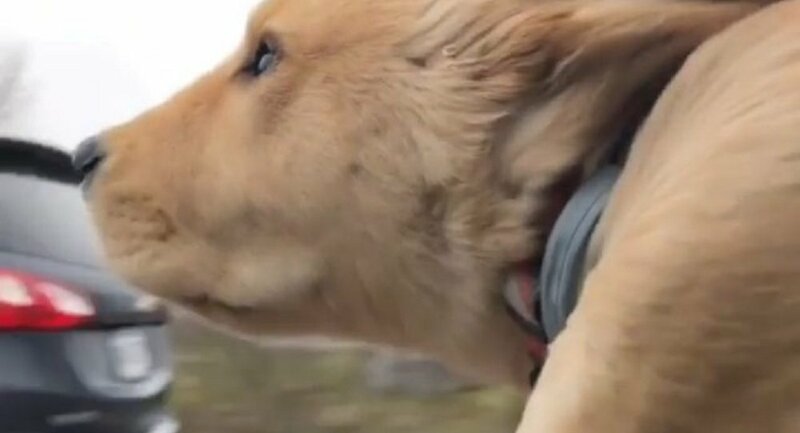 A short clip of a cute golden retriever peaking out a car window as the vehicle overtook traffic was recently uploaded to Instagram and has already garnered upwards of 200,000 views, melting social media users' hearts in the process. "Looks like a seal," one user remarked, while another netizen posted: "the puppers is travelling at hyper speed!"